Author(s) David R. Anderson Sweeney, Dennis J. Williams, Thomas A. Camm, Jeffrey D. Cochran, James J. Students save money when purchasing bundled products. 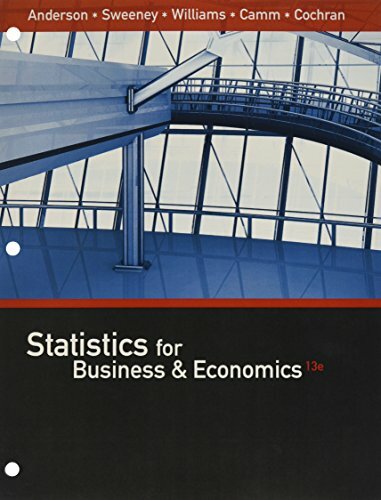 This bundle contains Statistics for Business & Economics, 13th and access to MindTap Business Statistics for 1 term (6 months) via printed access card.